Our Table Fork Sets offer exceptional value for your busy catering department or business. Designed for durability, they have each been manufactured from a durable stainless steel which is suitable for use in the dishwasher. The curved handle is comfortable enough for sturdy use, making them ideal for use in care and residential homes. Each one boasts a simple design to blend in with your existing cutlery range and to sit unobtrusively on a fully dressed dining table. 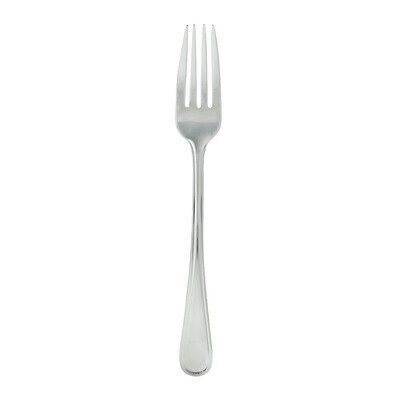 Whether you're hosting a glamorous banquet or settling down for the first meal of the day, each long-lasting table fork promises to provide years or reliable service.